That looks fantastic. Something to aspire to. 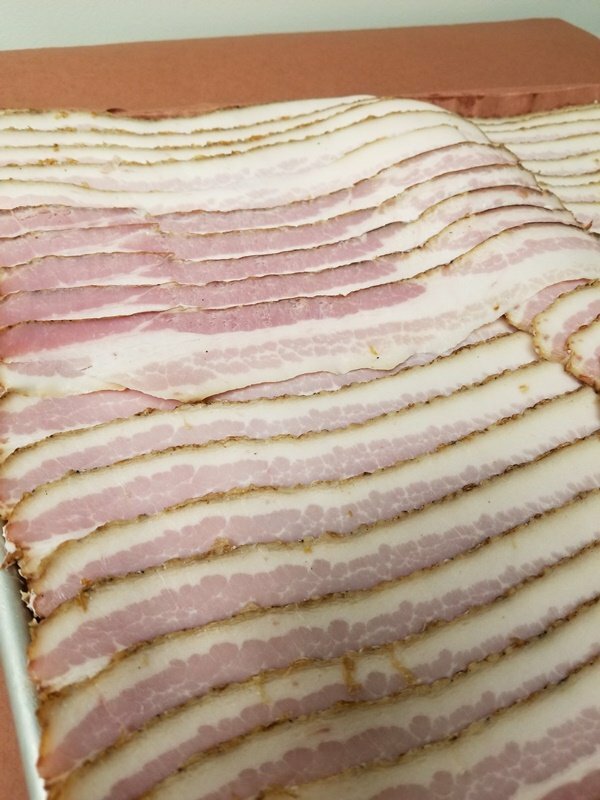 Really great looking bacon. I would probably like the higher sugar content version the best. Looking at it I can see why the family says it's a keeper. 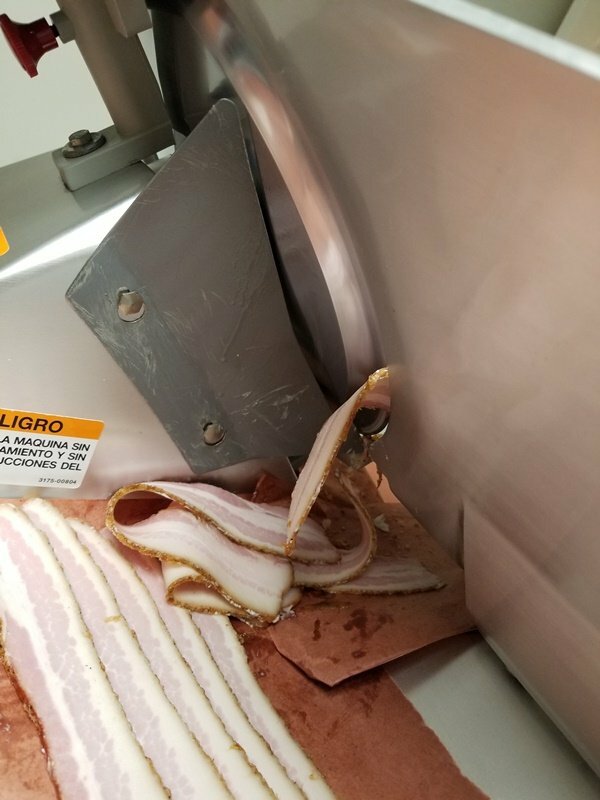 That is some really great looking bacon. Reminds me that I'm running out and need to do some soon. Holy cow...er, pig. Nice product. 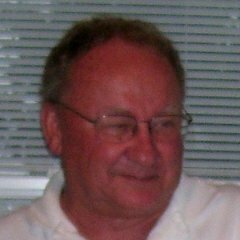 Smokehowz, I am very interested in duplicating the results you posted here. 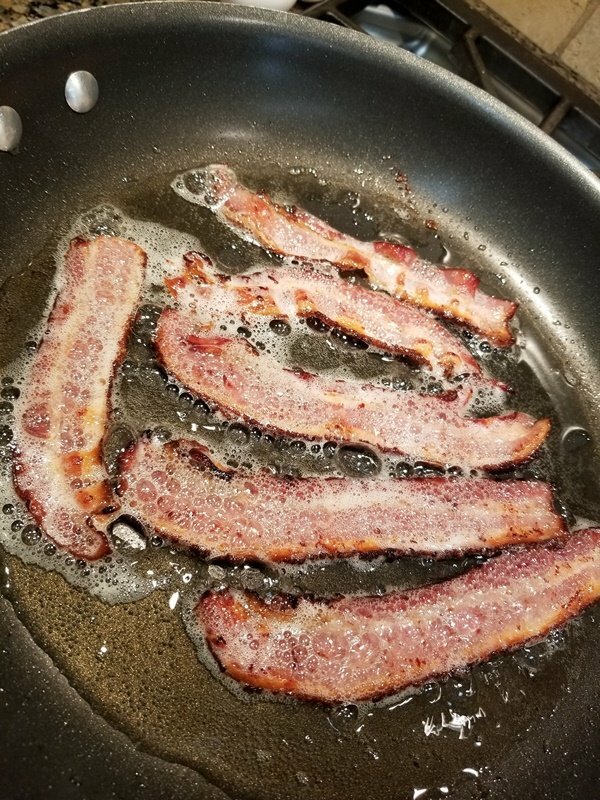 I sometimes make Canadian bacon (USA version) and peameal bacon (Canadian version) but my process and nomenclature are significantly different from this post. “Equilibrium immersion cure” and the sugar and salt percentages are foreign concepts to me. 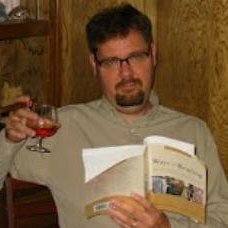 May I impose upon you to post a step-by-step recipe, that a novice can follow, in the Recipes/Charcuterie Recipes section? I used dark brown sugar because that's what I had and I used pure Vermont Maple Syrup instead of honey. I used cayenne pepper on half of the belly and none on the other just because I forgot to put it in my first batch of the curing paste. 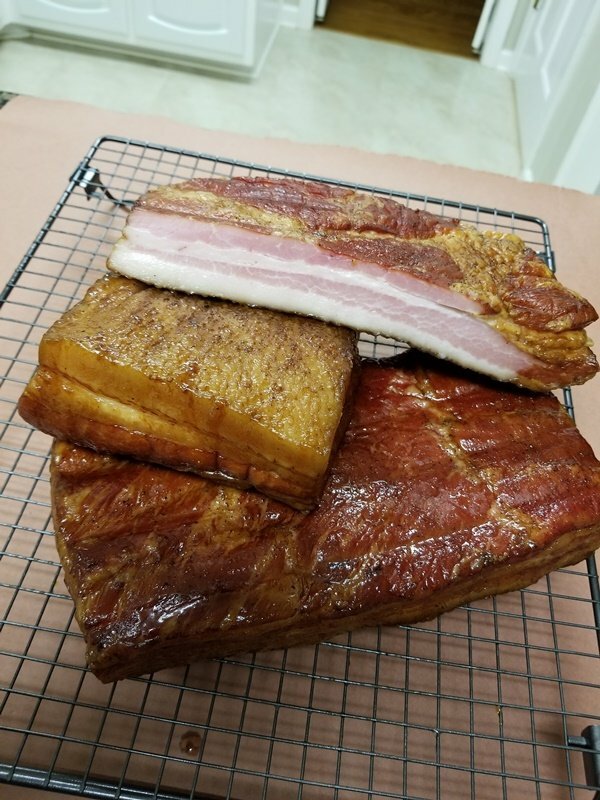 I had to cut the pork belly in half because I was using 1-gallon ziploc bags and this resulted in two different flavors to my bacon. The first one without the cayenne pepper finished curing in 9 days. Based on the hours of research I guessed at it being done because it was pretty stiff compared to when it first started. The second bag with the cayenne pepper leaked much of the liquid and didn't seem ready. So when I removed the first belly I drained the second bag, made another batch of the curing paste and started the process again. 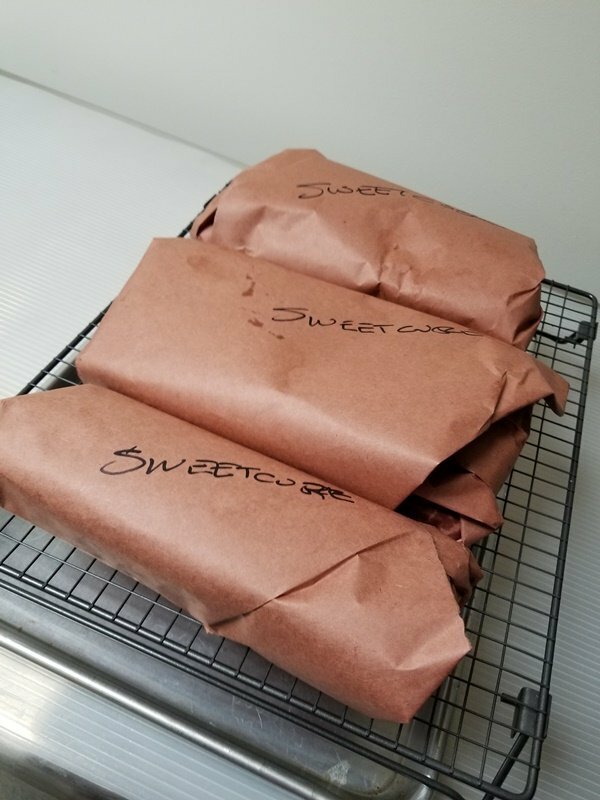 The first batch of bacon I rinsed thoroughly, dried with paper towels and placed on a drying rack in the fridge for a day unwrapped and uncovered. The next day I smoked it for about 3 hours keeping the temperature between 200-240 and cooking until the internal temp was 150. I used 2 small chunks of apple wood for the smoke. Since I don't have a meat slicer I was "forced" to buy a Dalstrong Gladiator Series Ham Knife which was heavily recommended throughout this site. I did my best to keep the strips as thin as possible and even. 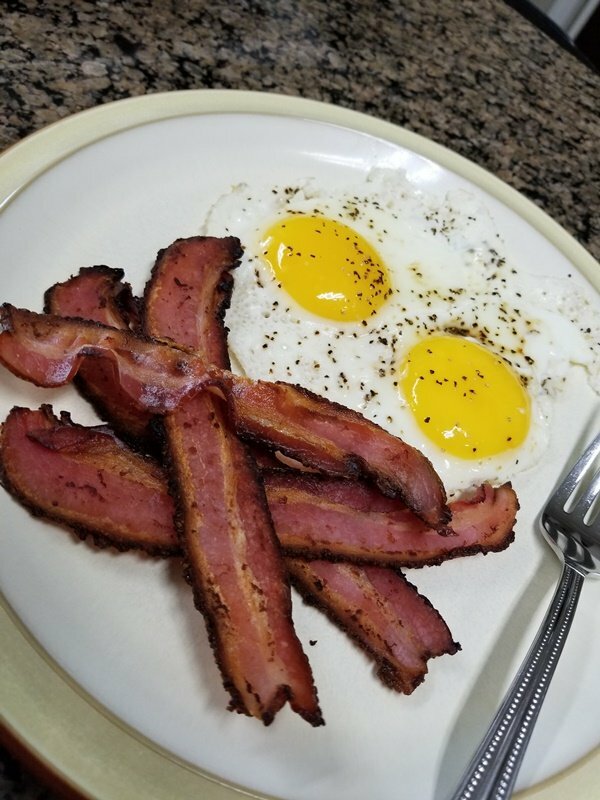 The family loved the bacon and I was happy with the result as well. 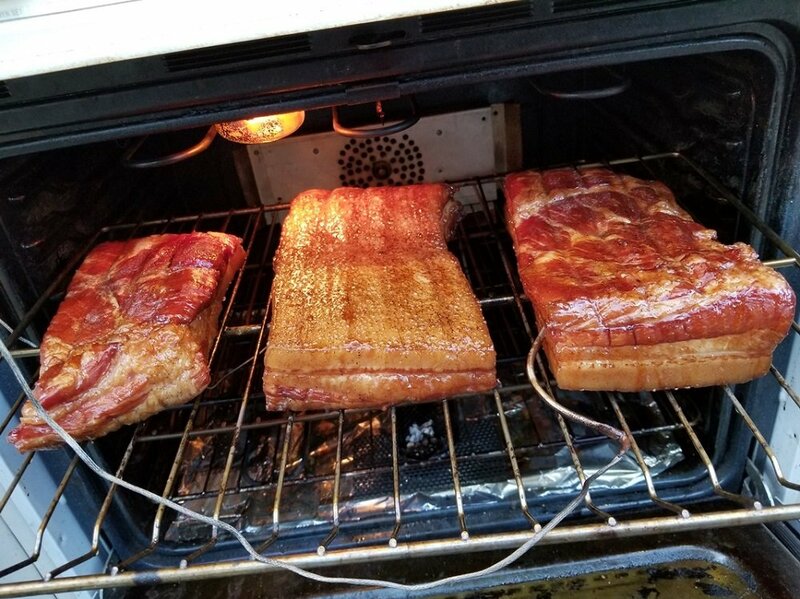 Now the second half of the pork belly finished up about 4 days later and I followed the same smoking process except I add 2 chunks of cherry wood and 2 chunks of apple wood. I didn't think the first round of bacon was smoky enough so I doubled the amount of wood. This was noticeably better than the first round! 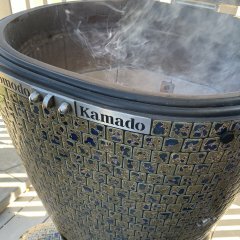 I tasted smoke this time and it wasn't overpowering. 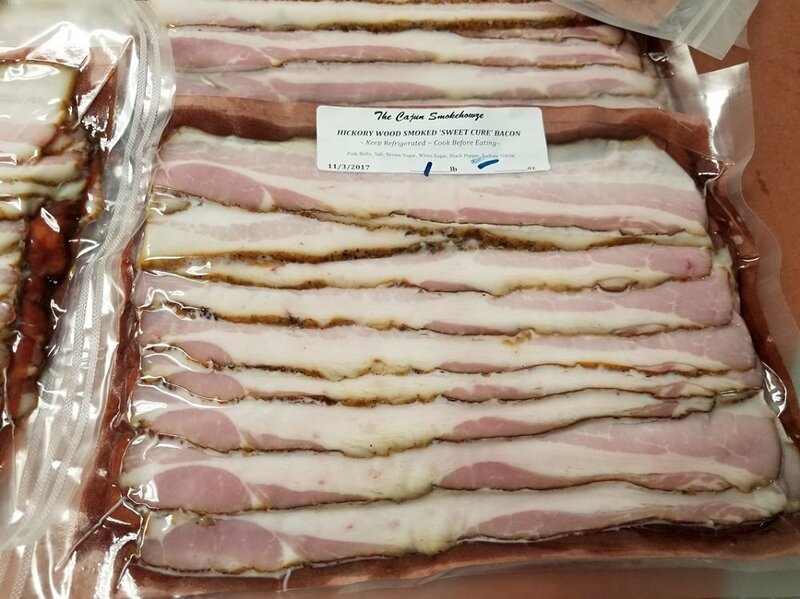 The flavors of this bacon were much more pronounced that the first round and while I know the added wood made a difference, I wonder if re-doing the curing process half the way through made any difference. Regardless, I enjoyed the whole preparation and cooking of the bacon and will do this from now on! It wasn't nearly as difficult as I had thought and though the second batch was better both were fantastic! As good or better than anything I've ever bought from the store. My family all claim it's better than anything we've ever bought, but I guess I'm a little more critical of my cooking than they are. So it's family Christmas at my brothers this year which means interstate for two families. I asked my brother what we could bring to help contribute and i was told nothing. It's all sorted. But i just couldn't turn up empty handed. 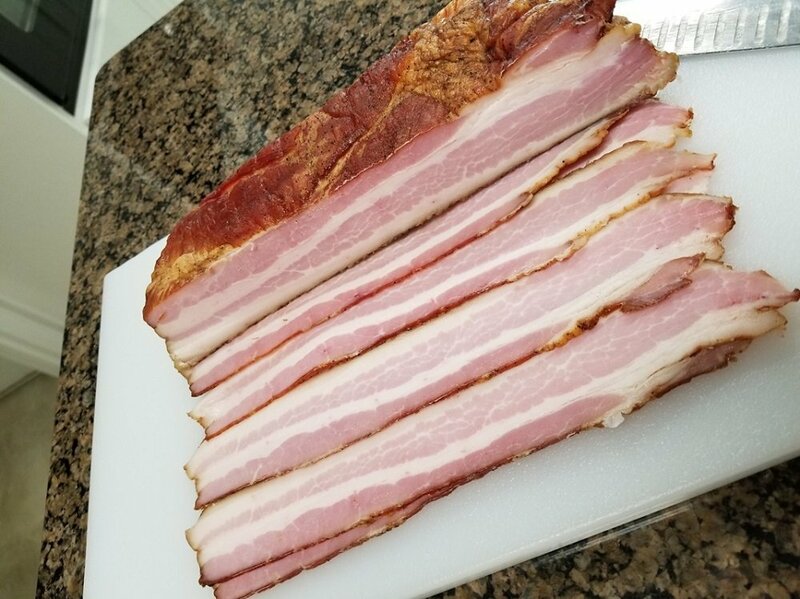 I think I'm taking the perfect thing.... home made bacon! Picked up a pork belly, wet brined for 4 days in a solution of salt pepper, molasses, sugar and water. Hot smoked on the KJ for approx 2hrs (150f internal temp).